Evergreen perennial. This tough South African perennial forms a low clump of gray-green lobed foliage. 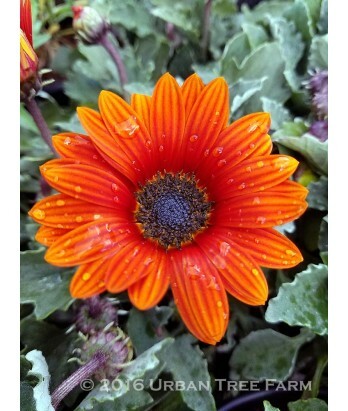 The pumpkin orange flowers are daisy shaped with a central eye often darker than the surrounding petals. Blooms continuously spring through frost. Moderate water needs in well-drained soil once established. Hardy to 25°F.